My apologies that it's been a while since the last DAN newsletter. In the interim, 285 teachers and hundreds of senior students across Australasia attended PD workshops and ethics conferences with UK educator Robert Kirkwood. Big thanks to those schools who so generously hosted Rob - this is such a practical show of support for DAN and our shared aim to nurture critical and creative ways to teach Religion & Philosophy. 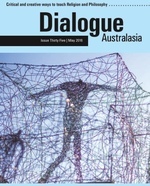 The May 2016 issue of Dialogue Australasia has been dispatched to members and subscribers. Please keep an eye out for an accompanying invoice if you have yet to renew for 2016. This Issue is an eclectically themed one. The 36th Issue (Nov 2016) will be a special Religion & Science Issue. If you have suggestions for potential contributors, or feel inspired to pen something yourself, the Editorial Committee would be delighted to hear from you. If you attended one of Robert Kirkwood's PD workshops 'REthinking Approaches to Teaching Christianity' in March, you will have received access to a large number of resources. PPT slides from Rob's workshops have also been added to Dropbox for participants to access. 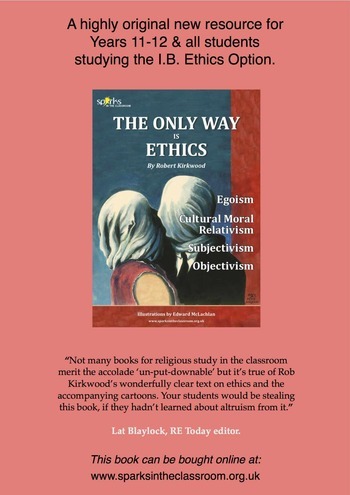 Class sets of Rob's latest book, The Only Way is Ethics (accessible for all senior students studying Ethics including IB Ethics Option) can be ordered online from Rob. Another fantastic addition to the EthicsOnline series which now numbers 8 films, Ethical Theory II offers three films on the comparative theories of Virtue Ethics, Natural Moral Law and Utilitarianism. Each film (18-25 mins) offers a fresh and memorable perspective on these benchmark theories. As always, teacher's notes, scripts and classroom activities accompany each film. Order the whole series of films and receive a 15% discount. Readers of Dialogue Australasia journal will recognise Nicky Hansell as author of several articles and as maker of the excellent Ethics Online films. In her first novel, Nicky sets about bringing philosophy to life through the Sages. Friedrich Nietzsche is dead. Not only that, but he’s lost and alone, climbing a mountain with no one to talk to. So, when he spies someone coming towards him, he’s delighted. Surely this man is a hero; someone who walks his own path? The Catholic, G. K. Chesterton is no Nietzschean hero. And the two are instantly at odds – all they have in common is a knapsack of food and a book with a mind of it’s own. It’s not long before this book takes them on a journey to meet the philosophers, winding their way up the path. A blend of biography, philosophy, religion and history,The Sage Train can be read and enjoyed simply as a philosophical novel, and/or integrated into senior teaching as an aid to stimulating debate and unpicking the theories. Ideas on how to use the book in the classoom are available free to download at Teaching through The Sage Train. The Sage Train can be ordered with free delivery from Book Depository, Fishpond and a number of other online retailers. 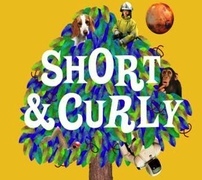 Great for classroom discussions and car trips, ABC 3’s Carl Smith, actress and TV funny person Molly Daniels plus ethicist Dr Matt Beard straighten out the curliest questions. * Can you trust a robot? * Is stealing music or jokes really stealing? * Should chimps have the same rights as kids? * Is it ever OK to fight back against a bully? * Can competitive sport by truly fair? The “Pause Button” approach: A key to developing a critical and philosophical approach to the world is making sure conversations are not one sided, with adults telling a child what to think. Enter Short & Curly’s “pause button” strategy which allows a listener to take a short break from the show to contemplate what they’ve been hearing or to discuss our questions with their family. View short promotional video here. The RE-searchers: A New Approach to Religious Education in Primary Schools is a resource that encourages pupils to think about the significance and effectiveness of different methodologies and methods of enquiry in RE by personifying each approach as a cartoon character. Individually these characters are called Debate-it-all Derek, Ask-it-all Ava, Have-a-go Hugo, and See-the-story Suzie, but collectively they’re known as the ‘RE-searchers’. Each character holds different assumptions about religion(s) and advocates different research methods. Once acquainted with the characters and their respective characteristics as researchers, pupils can undertake learning activities associated with each of them in pursuit of different understandings of religion(s). Click here for a copy of RE-searchers which includes details of the RE-searcher characters, examples of how the approach has been implemented, and some feedback from teachers. This resource is authored by Giles Freathy, Rob Freathy, Jonathan Doney, Karen Walshe and Geoff Teece and was developed as part of a project sponsored by the Culham St Gabriel’s Trust UK. Harvard University has launced 6 free online series on World Religions Through their Scriptures aimed particularly at educators. The first course was on 'Religious Literacy: Traditions and Scriptures,' with courses to follow on each of the five major world religions. Course Director, Professor Diane Moore points out that religious literacy entails more than just knowing the Five Pillars of Islam or Buddhism's Four Noble Truths. Such an approach "reinforces the problematic assumption that religions are internally uniform and ahistorical." Instead, Moore suggests that religious literacy should include an understanding that religious traditions are "internally diverse," ever-evolving, and play complex roles in people's lives. To that end, the course aims to offer participants an understanding of the history and interpretations of religious texts and why some were designated as “sacred.” Students will also dive into contemporary and historical interpretations of the texts to get a feel for just how "internally diverse" the traditions are. Take a look at the courses - which are being offered via an online learning platform called edX which is very intuitive and easy to navigate in my experience. You will find a wealth of incrediable resources to bring into your classrooms, as well as to enrich your own approach to teaching world religions. This practical guide produced by Europe based organisation Climate Outreach in partnership with international interfaith group GreenFaith, presents language that works when motivating action from people within and across the world's 5 main faith groups. Gandel Philanthropy are seeking applicants from active and qualified secondary school teachers throughout Australia for a fully funded graduate programme 'Gandel Holocaust Studies.' Applicants must intend to include Holocaust education in their curriculum. The dates for the next program in Israel are 1-18 January 2017. The closing date for applications is Thursday 9 June 2016. Terry McDevitt, the DAN Executive member for SA, was a Gandel Fellow in 2014 and would be happy to speak with you if you are interested in applying. Email Terry. Guest speakers include Miriam-Rose Ungunmerr (AO), an Aboriginal elder from Nauiyu (Daly River) who will share her work on Dadirri, 'inner, deep listening and quiet, still awareness,' Margaret Kemarrre Turner (OAM), an Eastern Arrernte elder from Central Australia and author of the book Iwenhe Tyerrtye - what it means to be an Aboriginal person and David Tacey, Sarah Bachelard and Graeme Garrett. 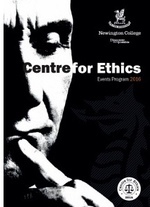 Now in its seventh year, the Newington College Centre for Ethics has become well established on the Sydney cultural scene with an innovative series of public lectures. This year the scope of the Centre has been broadened to include student workshops and PD opportunities for teachers. 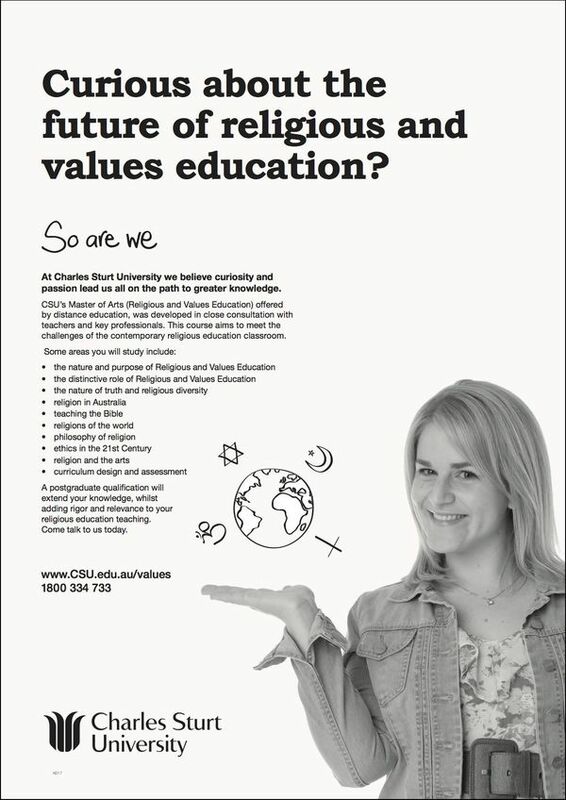 Of particular interest to RaVE teachers is the Religion and Ethics Panel Discussion on 20 July, which will be recorded for national broadcast on ABC Radio as part of Sunday nights with John Cleary. Panelists include Dr Susan Carland, Rev Tim Costello, Venerable Robina Courtin, Fr Aloysious Mowe SJ and Rabbi Jacqueline Ninio. An excellent article and basis for ongoing discussion about the relationships between theology and philosophy written by John Haldane, currently Visiting Distinguished Professor at the University of Notre Dame, Sydney. 10 Ways on on How NOT to Think about the Iran Saudi Conflict. There are many political scientists and public policy pundits you can turn to for attempting to grasp the geopolitics of the Middle East. For a thoughtful and well documented perspective on the conflicts between Saudi and Iran particularly, read this article from scholar of religion, Omid Safir.